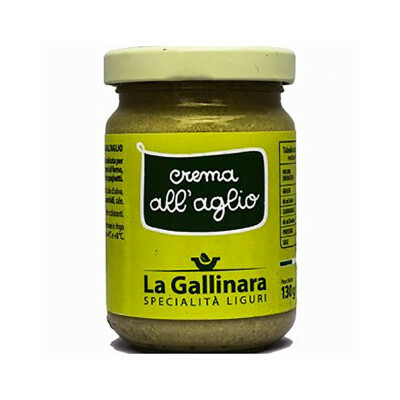 Garlic Cream made of garlic and refined with artichokes. The ingredients are: artichokes, olive oil, garlic, salt. This cream is used to accompany many dishes: grilled second courses, fried food, in particular fried cod, baked fish, risotto and spaghetti. Artichokes, olive oil, garlic (12%) , peanuts, salt. No preservatives and colorants.